Neem is the ultimate pride of India and a divine gift of nature for its colossal remedial benefits including its power in treating tuberculosis, malaria, dandruff, fever, leprosy, acne, joint pain, plaque, intestinal worms, gastrointestinal disorders, chicken pox, diabetes and jaundice. Neem and its varied extracts are prescribed in Ayurvedic medication for treating skin ulcers, diabetes, urinary infections, hair loss, psoriasis, constipation and digestive difficulties, scabies, asthma, whooping cough, wounds, pain, chicken pox and certain other infectious diseases. ‘The liberated tree of India’ is the direct meaning of its scientific name Azadirachta indica, where the word ‘Azad’ means freedom, ‘dirakht’ means tree, ‘i-Hind’, means of Indian origin. Neem is the first medicinal plant indicated in Siddha medicine, one among the oldest healing systems on earth. The 4,500 years old Indus valley civilization including the discovery of the cities of Harappa and Mohenjo-Daro talks about the medicinal uses of Neem tree. Being an evergreen tree, Neem is often found in the front yard of most of the Indian homes for its phenomenal healing powers. WHO or the World Health Organization mentions that about 80 per cent of the developing countries’ populace bank upon natural or traditional medicines for treating various health conditions. Among all those natural medications, Neem has found enormous medicinal attributes and therapeutic properties. Neem was called as the ‘Tree of the 21st Century’ by the United Nations Environment Programme. The Siddha medications for treating blood pressure, diabetes, excess cholesterol, urinary tract infections, leprosy and gastro intestinal problems had Neem formulations in it. In 1992, the National Academy of Science of the United Nations called Neem tree as “A tree for solving global problems.” The 350 years old Palm leaf manuscript preserved in the Centre for Traditional Medicine and Research emphasize on the remedial uses of Neem tree. Every day many Indian families start their day with the use of Neem, where the Neem twigs are used as a natural toothbrush for combating oral problems. The tea prepared with Neem leaves decoction, consumed in empty stomach in the morning is said to be a trusted remedy for flushing out toxic remains in the system, killing microbes in the body and increasing the immune power. All the parts of the Neem tree including its leaves, bark, twigs, gum, fruits, flowers, seeds and the cold pressed Neem oil have enormous medicinal values for mankind. The Neem leaves paste has been used in various folklore medicinal practices for treating pimples, chicken pox boils, viral infections, bed sores, psoriasis, eczema and wounds. Neem leaf decoction was also used for treating dandruff, hair fall and head lice. The primary chemical constituents of Neem oil are triterpenoid compounds like Azadirachtin and Nimbin along with triglycerides, sterols including stigmasterol, campesterol and beta-sitosterol. This oil also contains fatty acids, namely Omega-6, Omega-9, stearic acid and palmitic acid. These components contribute to its remedial values like antimicrobial, antiviral, antiseptic, antifungal, antihistamine, febrifuge, antipyretic, hepatoprotective, analgesic, diuretic, anti-inflammatory, immune stimulant, antioxidant, emmenagogue, circulatory, vermifuge, anthelmintic, astringent, cicatrisant, spermicidal and nervine. Being a part of nature is the greatest acknowledgement one can ever receive. If you wander in search of solace through natural beauty either in the form of a lawn or a mountain, then it is just a symbol of your ignorance. Beauty, especially the eternal beauty lies within you and your soul has everything that is in nature. Wanna try what I say??? Come lets experience the heaven in us..
Just sit in the most silent or tranquil zone in your home. Take a deep breath, relax and close your eyes. Want to be amid Niagara Falls now? PICTURIZE is all I have to say. Start hearing the roaring voice of the falls, feel touch of the drizzling water on your face and think that you are there and experience the joy of being there..
You’re done. Not more than 10 minutes, your brain would have certainly secreted the positive and the happy hormones and instill lot of optimism and superfluous inspiration that is more than enough to keep you charged for the rest of the day. This is the power of thinking that nature has deeply vested within you. Your soul is the greatest encyclopedia of Nature and that this why your thoughts travel millions of kilometers in a jiffy. Wondering what all these philosophical thoughts have to do with the Ayurvedic health benefits of Neem seed oil? Here’s the catch. All I wanted to say is that Ayurveda is within you and there’s no need to wander in search of this miraculous science outside. The word ‘Ayur + Veda’ just means the ‘the knowledge (Veda) of life (Ayur). Every remedial practice in this heavenly healing methodology aims at invigorating your prana or the life force. 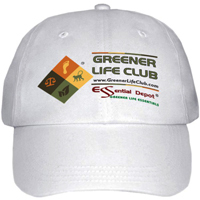 Plant essential oils are nothing but the prana, essential life force or the vital energy of plants. It is for this reason Ayurvedic essential oils are very special and close in uplifting the life force of mankind with the life force of plants. The supreme essence of Ayurveda is that it treats every individual and it never treats just their illnesses alone. This derivation starts from the Ayurvedic school of thought that says that every person is a unique part of nature with a distinct individual constitution known as doshas. Vata, pitta and kapha are the three vital energies and all these combined together is known as Prakriti of a person. Every individual has a predominance of any one of these doshas, which decides their physical attributes, emotional stability, spiritual influence and behavioral patterns. A disciplined life with healthy lifestyle practices for the mind, body and spirit paves way for absolute balance between doshas. Sedentary lifestyle, irregular food habits, change in climatic conditions and misconduct leads to imbalance of doshas, nature’s alarm for the onset of diseases. Ayurveda trusts and depends upon nature for its medications. Herbs, essential oils, Pranayama or balanced breathing, yoga, Panchakarma or the detoxification technique, Ayurvedic routine, prayers and meditation are prescribed in order to restore the balance between doshas and to recuperate and prevent illnesses in the future as well. Neem is indeed a blessing to mankind. The oil extracted from Neem seed has cooling, energizing and rejuvenating properties for the body, spirit and mind. 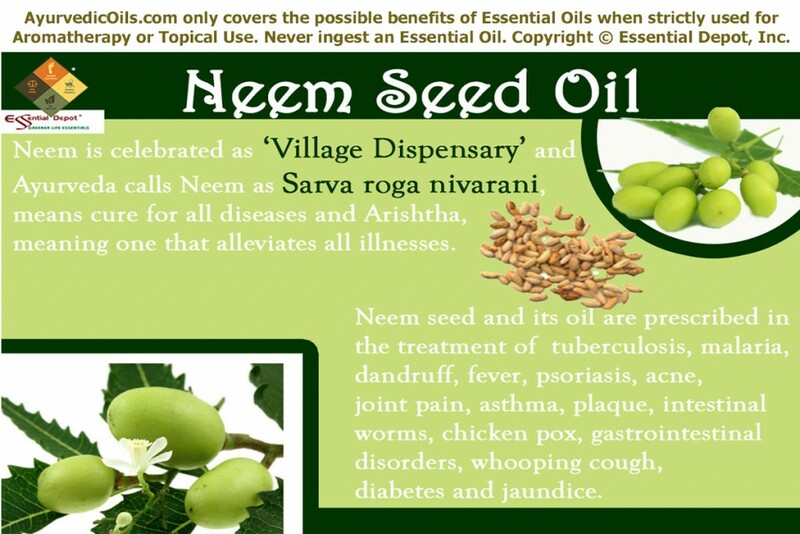 Neem seed oil has the power to boost vata (responsible for circulatory, nervous and respiratory functions along with sociability and creativity), pacify pitta (metabolic functions, decision-making skills, leadership qualities and body temperature) and kapha (responsible for physique, sustenance, trust and love). Here we go!!! 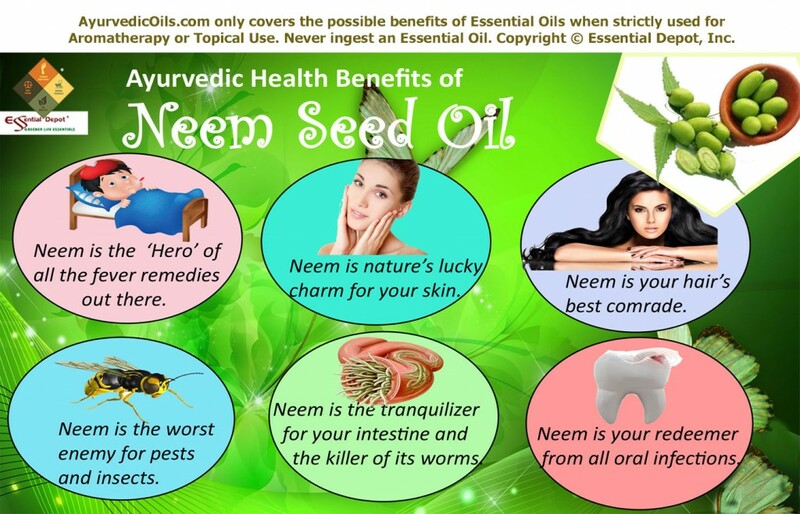 The Ayurvedic health benefits of Neem Seed Oil. Pitta dosha is responsible for body temperature. With its power to pacify pitta energy, Neem oil has the ability to reduce the body temperature very quickly than any other medications. It is called as Jwarahara, potent fever reducer with its antimicrobial, antiviral and febrifuge properties, contributed by the presence of nimbin and nimbidin. As a Shramahara, Neem oil alleviates fatigue and lack of energy associated with fever. Numerous research studies have proved the effectiveness of Neem oil in fighting against sensitive strain and choroquin-resistant malarial parasites. Neem oil is also efficient in the treatment of viral fever with its potent to wrestle against chikungemya, vaccinia and measles virus. 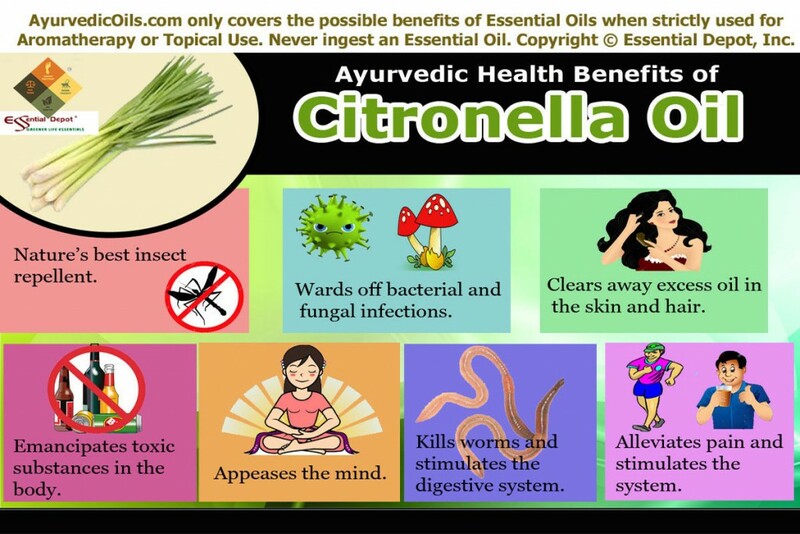 ‘Nila vembu’ or ‘Neem of the ground’ was the redeemer of thousands of people affected by Dengue, Chickungunya and the chronic viral fever with severe headache and body pain. The ideal method of using Neem oil for reducing fever is massaging your palms and foot soles with 4 drops of Neem oil blended with 15 drops of Evening primrose oil. Wondering why on foot soles? Because foot soles are the home for all the nerve-endings in your system. 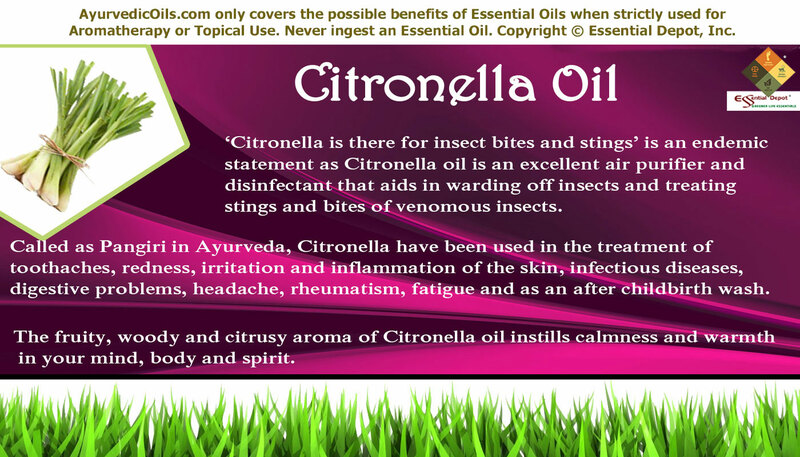 Essential oils penetrate deeply through the skin and pass on to the bloodstream quickly. By this way, it passes on the therapeutic values of Neem oil and helps in bringing down your body temperature considerably, granting you speedy relief. Neem can gift your skin with all the best things to make it glow and look younger. Neem has antimicrobial, antiseptic, cicatrisant, antioxidant, anti-inflammatory and circulatory properties that helps in combating microbes causing acne and other skin infections. The cicatrisant values of Neem oil aid in healing wounds quickly and its antiseptic values arrest the growth of microbes and protect the wounds from turning septic. The antimicrobial properties of Neem oil have been proved powerful against bacteria like Streptococcus mutans and Streptococcus faecalis. Neem is called as Kushtahara for its ability to treat various skin conditions; Vranahara for cleansing and healing wounds firstly; Twachya for protecting and retaining the natural beauty of the skin. Blend 2 drops of Neem oil with 10 drops of Linseed/Flaxseed oil and 1 drop of Lavender oil and apply it on pimples, blackheads, wounds, burns, cuts, sores, boils, eczema, psoriasis, ringworm, athletes’ foot, ringworm, wrinkles, inflammatory conditions and nail fungus, for revealing its magical healing powers. Here’s your secret ingredient to clear acne marks and own supple, clear and soft skin. Mix 1 drop of Neem oil, 1 drop of Turmeric oil and 1 drop of Tea tree oil in your mild skin cleanser. Gently massage your facial skin with this enriching blend daily or once in two days. Wash it with cold water, wipe off and apply rose water on your skin. This will certainly help you notice visible difference in alleviating marks and blemishes on your skin. Long, lustrous and strong hair is the prized possession of every woman. Men often settle with dandruff-free, voluminous and healthy stuff on the scalp. Thousands of hair-care products hit the market every week and leave us in bafflement in choosing the right remedy for our hair problems. Natural remedies are often the safe hub to settle for and if you are looking to stick with natural solutions for your hair, then Neem is the best choice. Neem is nature’s powerhouse of essential nutrients for moisturizing and nourishing your hair and scalp from within. Linoleic, stearic and palmitic acid are few among those fatty acids that contribute to your bouncy locks. Neem seed oil has antibacterial, antifungal, antiviral, anti-inflammatory, anti-dandruff and anti-parasitic properties that assist in killing microbial infections that cause split ends, itchy and infectious scalp conditions and keep away from dandruff and head lice. Peek-a-boo! Nourishing Neem blend is here! Mix 4 drops of Neem oil with 3 ounce of Olive oil, 2 drops of Ylang Ylang oil and 2 drops of Rosemary oil. Gently massage your scalp with this medicated oil and wrap a warm towel on your head and allow it to rest for about 30 minutes. This helps in penetrating the therapeutic values of these Ayurvedic oils deep into your scalp and hair follicles, just to nourish your hair from the roots. Wash your hair with a mild shampoo with 1 drop of Neem oil and 2 drops of Lime oil for that glossy, thick, bouncy hair that is free from lice, dandruff and frizz. Few first things that strike our mind, the moment we thick of Neem is its extremely bitter taste and pungent aroma. This is indeed good for us and utterly atrocious for the pests and insects that are extremely harmful. Being a natural insect repellent, 2 drops of Neem seed oil can be added to your burner or vaporizer to keep your family safe from mosquitoes, bed bugs and other insects. You can also add 3 to 4 drops of Neem oil in your hand sprayer and protect the lovely plants in your garden from pests. Are your cute little cat and bossy dog scratching all over? Then mix 1 drop of Neem oil in its shampoo and that’s it, fleas, ticks, mites and other insects are all gone with the Neem remedy. Neem is called as Kriminut in Ayurveda for its ability to alleviate worms and infections in the stomach and intestines. The antimicrobial attribute of Neem oil is attributed to the presence of Nimbin constituent. Along with its anti-inflammatory and cooling properties (Sheeta), Neem and its other extracts help in tranquilizing the intestinal linings and stomach, combat intestinal worms, parasites and heal wounds and treat ulcerates. Neem is called as Laghu for its support in digestion and better absorption of nutrients in the food. It is a Grahi herb as it absorbs excess moisture in the intestines, thus treating wounds and ulcer by cleansing the moisture in them and soothing irritation. Massaging your abdomen with 2 drops of Neem seed oil mixed with 2 drops of Peppermint oil and 1 ounce of sesame oil might help in pacifying your intestines, reducing irritation and eradicating detrimental microbes and infections. Neem has antibacterial and antimicrobial properties that assist in fighting against oral pathogens in treating oral problems. A 2011 study on ‘Evaluation of Antibacterial and Anticandidal Efficacy of Aqueous and Alcoholic Extract of Neem (Azadirachta indica) by the Institute of Dental Sciences and Research Center’, proved the inhibitory effects of Neem on Streptococcus mutans, Enterococcus faecalis and Candida albicans that are the basis for infectious diseases in the oral cavity. Half drop of Neem oil blended with 1 cup of warm water as a gargle might be effective in getting rid of bacteria, fungi and other pathogens causing plaque, gingivitis, cavities and other oral problems. Neem and its remedial oil is potent in treating tuberculosis, diarrhea, pneumonia, bronchitis, discard pathogens, alleviate muscular pain, control the secretion of insulin hormone, thus supporting in the treatment of diabetes mellitus. This unique portion of information is predestined only for the use of education and is not suggested to make a diagnosis, thwart or to cure any kind of illnesses. It is not intended to substitute any prescription medicines or the consultation of a certified physician. We, at Essential Depot are not doctors of medicine and this info is shared only for spreading the magical healing of Ayurveda, the pioneer of all medicinal sciences. Essential oils are recommended for topical use only and keep in mind to attenuate the effects of essential oils by mixing it with suitable carrier oils and never ingest essential oils. This is due to the fact that 100 per cent pure and organic essential oils are extremely concentrated substances and might cause allergic reactions if used on the skin without diluting it. Take special care in using essential oils, if you are pregnant or nursing and while using it on children. Have a word with your Ayurvedic specialist or medical expert prior to choosing the best oils for your unique individual constitution and health conditions. A patch test on your skin before experiencing the many benefits of essential oils is recommended. -Pledge No 1223 – Singapore. Neem: The Tree of Life by Sara Abraham, Ryder Management Inc.
Neem (Azadirachta indica): Prehistory to contemporary medicinal uses to humankind by Venugopalan Santhosh Kumar and Visweswaran Navaratnam, published in the Asian Pacific Journal of Tropical Biomedicine and PubMed. Pine oil has such a great honor as it can garland anybody with the bliss and blessedness of the Christmas occasion at any given time. Apart from its use in Christmas decoration, Pine tree and the essential oil extracted from its needles through steam distillation method has many uses in the field of Complementary and Alternative medicine and in household cleaning. There are many species of Pine trees and the common ones used for essential oil extraction are Pinus sylvestris, Pinus alba, Pinus pinea and Pinus pinaster. The book Ayurveda and Aromatherapy by Bryan Miller and Light Miller quotes Pine oil as “The world’s largest production of any one essential oil is Pine. It is known to be a stimulant, helping people to be comfortable with any situation”. With similar properties like Eucalyptus oil, Pine oil was used as a strong medicinal aid in many traditional healing practices including Ayurveda for treating chronic respiratory problems like pneumonia and bronchitis. Hippocrates, the father of Western medicine used Pine in the treatment of pulmonary conditions and established its healing effects on the respiratory system. 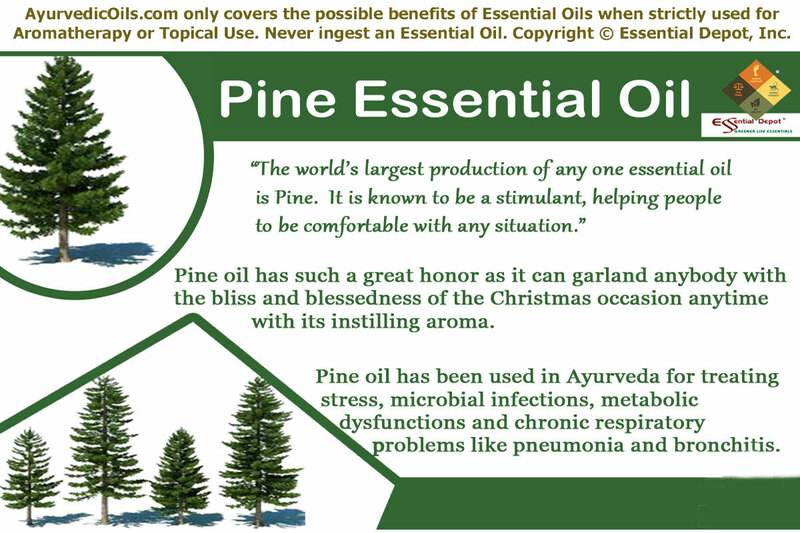 Pine oil was recommended by the ancient physician Pliny for treating respiratory and lung problems. The Native Americans chewed the needles of the Pine tree to defend against scurvy. They also used the clean-scented Pine needles on their bed to ward off fleas, lice and bed bugs. The highly ornamental timber of Pinus pinaster also known as Maritime pine was used in making furniture, building frames, panels, internal flooring, veneers, particle board etc. The pinecones are also used as Christmas decorations. 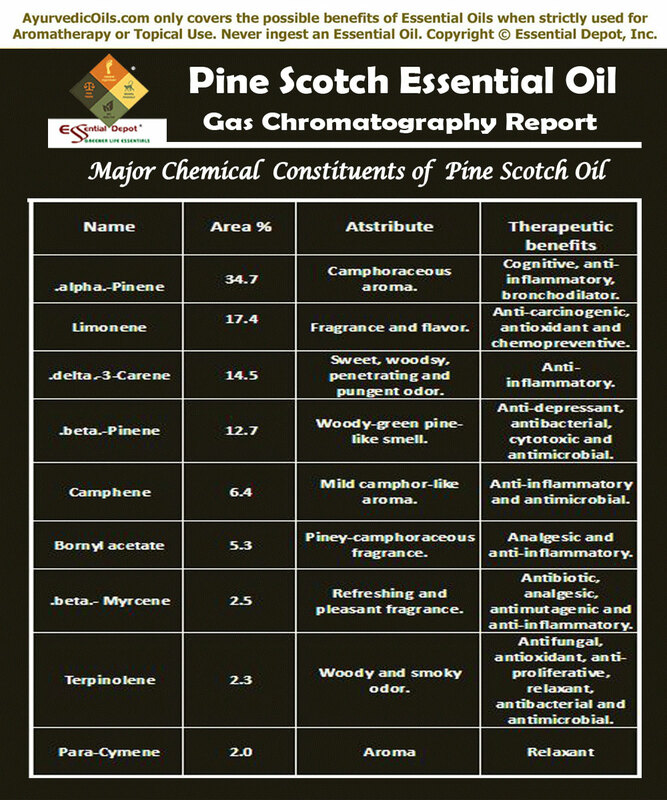 According to the Gas chromatography report, Pine Scotch oil constitutes of 15 chemical components that contribute to its fragrance, therapeutic attributes, consistency and quality of this oil. Of which, alpha-Pinene contributes to the highest proportion of Pine Scotch oil constituents with about 34.7% of its total composition. I believe that this must certainly help you in getting to know the exclusive information about these prime chemical constituents of Pine Scotch oil. The table crafted below clearly depicts the unique nature and contributions of these biochemical constituents to the healing magnificence of Pine Scotch essential oil. The therapeutic values of Pine pinaster oil are anti-inflammatory, expectorant, restorative, stimulant, antiviral, antibacterial, circulatory, decongestant, disinfectant, analgesic and deodorant. The bark of this tree contains Oligomeric Proanthocyanidin Complexes (OPC’s) that make it an effective antioxidant that can fight against free radicals responsible for cancerous diseases. Ayurveda is a common sense science that considers illness as an opportunity to trace what is out of balance and what is the actual root cause for an illness. Ayurvedic remedies aim at treating the individual as a whole and the root cause of the disease instead of the disease alone. This helps in preventing illnesses in the future and paves way for healthy aging and longevity. According to this traditional methodology, same medicine is not given to two individuals even if they have the same health problem because Ayurveda trusts that every individual is unique with a special combination of energy elements known as vata, pitta and kapha doshas and every person needs a unique treatment based on their individual constitution. Every human being will have a predominance of any one of these doshas, which determines his/her personality. Dosha imbalance is the major reason for all kinds of sickness. Among the three doshas, Pine essential oil has the power to reduce surplus of vata and kapha and treat pitta deficiency. 5 drops of Pine essential oil added to steam inhalation helps you in treating sinusitis, cough and cold. The decongestant and expectorant properties of this oil aids in breaking up the mucus deposits and expelling it from the lungs. Painful cough, congestion, flu, bronchitis, blocked nose, chest congestion, asthma and sinus infections can be treated with this natural aid. You can also mix 2 drops of Pine oil with 2 drops of Eucalyptus oil in a base of coconut oil for using it as a rub or in warm bath for lessening the effects of such respiratory infections. The sweet, slightly balsamic, evergreen, woody and fresh aroma of Pine essential oil instills a warm feeling of newness on the mind. The aromatic molecules in the essential oil that pass through the nasal passages reach the limbic system of the human brain, where emotions, feelings and responses are controlled. This aids in transforming the relaxing, calming, invigorating, balancing, detoxifying, uplifting, strengthening and energizing effects of Pine essential oil on the mind and body. This makes Pine essential oil as an excellent mood enhancer and makes it a powerful remedy in alleviating mental strain, stiffness, stress, fatigue, nervous tension and fear. Pine oil is known to help people remember the ways to get along with the flow of life; just like the Pine tree does by the ebb of the sea. It is for this reason Pine essential oil is a proven remedy in treating memory loss and lack of concentration power. Inhaling the aroma of the divine Pine oil by adding 3 to 4 drops in your diffuser, potpourri, pillows or to a napkin aids in granting emotional stability and the power to go on and on. Pine essential oil has analgesic and anti-inflammatory properties that aids in treating rheumatic pain, muscular aches, stiff joints and arthritis. Massaging the affected area with 5 to 6 drops of Pine oil added to soothing carrier oils like sesame oil or coconut oil followed by a hot bath blended with 3 drops of Pine oil can grant you relief from all kinds of pain. This massaging also helps in boosting your metabolism and stimulates the process of digestion. Pine essential oil is also used as a diuretic for eliminating water retention and toxins from your body. A 2001 study on ‘Chemical and Antimicrobial Properties of Essential Oils of Five Moroccan Pinaceae’ suggested that the examination of the antibacterial activity witnessed that the essential oils of Pinus pinaster and Pinus pinea demonstrated a definite activity against all types of organisms tested and also possess a remarkable antiseptic activity. 5 drops of Pine essential oil blended with carrier oils like almond oil can be used in massaging, in bath or as a topical application for inhibiting the growth of bacteria, fungi, virus and certain other harmful organisms. This aids in protecting one from skin infections, urinary tract infections, bacterial infections and viral infections like flu and cold. 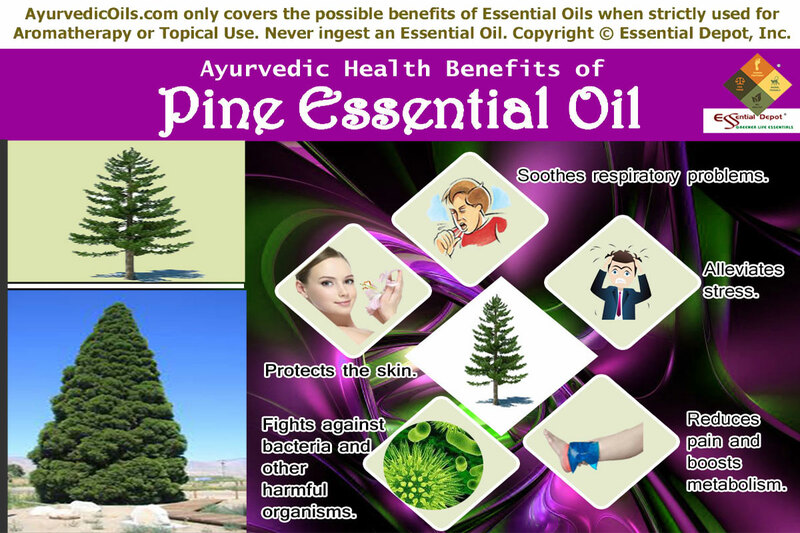 As a natural antiseptic, astringent, circulatory, antiviral, restorative and antibacterial oil, Pine essential oil is known for treating an extensive range of skin problems like acne, burns, psoriasis, athlete’s foot, dry scaly skin, boils, itching, eczema and wounds. You can add 4 drops of Pine essential oil to your antiseptic cream or skin care lotion and apply it on the affected part for quicker healing. Tremendous health benefits of the bark extract of Pinus pinaster: Apart from the essential oil, the extracts from the bark of the Pinus pinaster tree has gained great recognition for its effectiveness in treating a wide range of illnesses. This extract was also evidenced with anti-inflammatory effects, cholesterol-lowering effects, antimicrobial and antiviral effects, benefits for cardiovascular system, venous disorders, attention deficit hyperactivity disorder (ADHD), allergy and asthma, menstrual disorders, pregnancy associated pain and endometriosis. Essential oils are highly concentrated liquids that can cause irritation of the skin and mucous membranes when used undiluted. 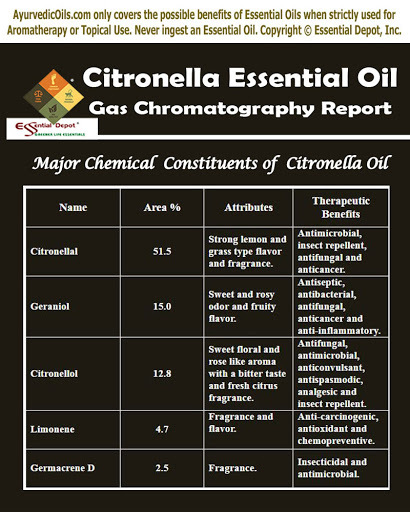 It should always be used after diluting in carrier oils. Do not take essential oils internally as it may be harmful for your system. Consult your Ayurvedic practitioner before using essential oils for your unique individual constitution. 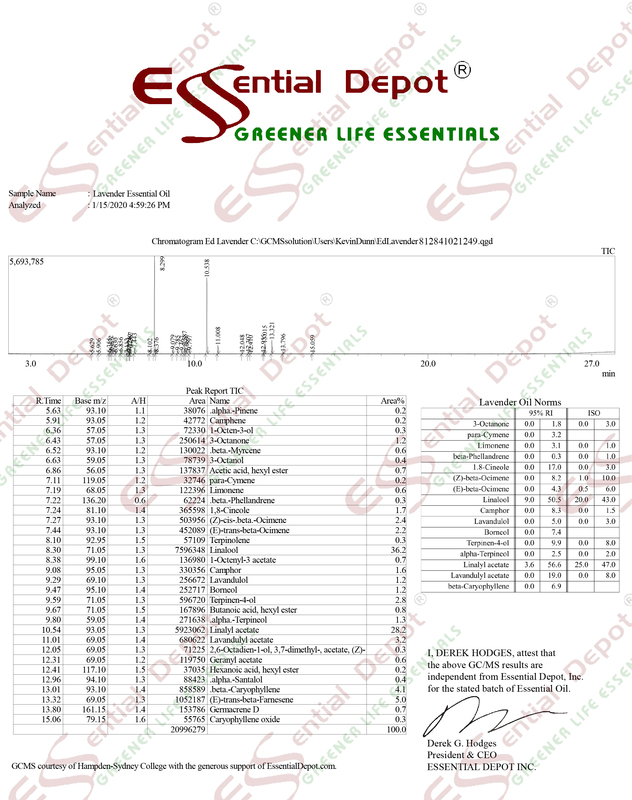 The MSDS (Material Safety Data Sheet) of Pine Scotch oil is readily available for your enhanced safety and better usage. 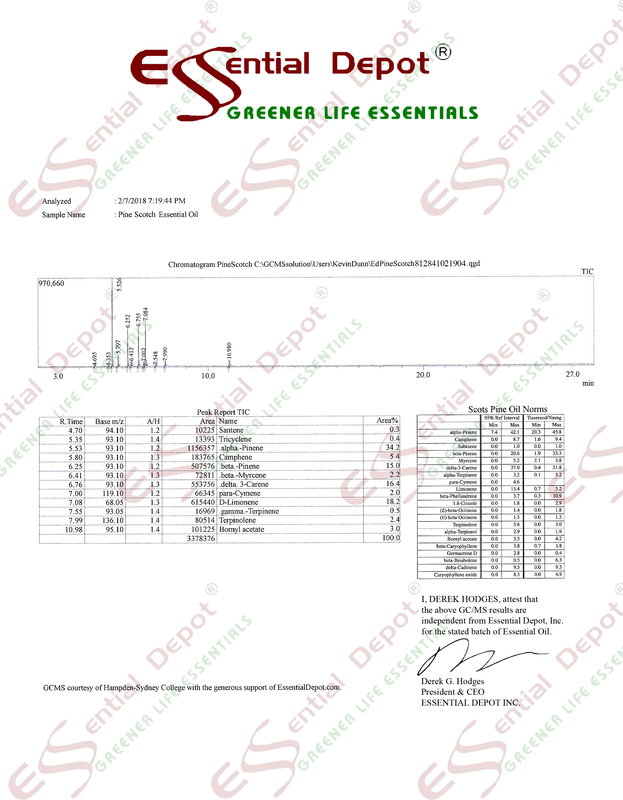 Gas Chromatography Report (GC analysis) of Pine Scotch oil. Certain studies report the effects of Pine scotch oil on contact dermatitis and sensitivity. When used in large doses α-pinene has the potent to cause irritation of the mucous membrane, kidney damage, CNS (Central Nervous System) depression, growth of benign tumors, skin sensitization, allergies and irritation.